There was nothing really spring-like when Furman opened its spring football practice schedule Friday morning at 6 a.m. Temperatures were in the upper 20s at Paladin Stadium as 73 active Paladins officially began preparations for the 2019 season. "I'm not going to go out there if it's 20 degrees, but if it's 30 I think we can manage that," Furman coach Clay Hendrix said. "They were all there and it was a good, productive first day. They understand what our plan is and everybody's excited on the first day." Friday marked the first of 15 spring practices that are tentatively set to be held through the end of February with a schedule of Tuesdays, Thursdays and Saturdays starting next week. There will be four practices on the natural grass of the Bob King practice fields and 11 at Paladin Stadium, including the annual Purple-White scrimmage which will be held Feb. 23 at 1 p.m. The 6 a.m. start time will be typical of the spring practices. Because of class schedules and sharing the facility with lacrosse, the early morning time is the best option for having just about all of the football players available and for the longest time. "It's really the only time that we're uninterrupted. Our kids don't take a class before 9:30, so you have a 6 a.m. to 9:30 window. One kink in that is our business kids are part of that block, which is an 8:30 to 12:30 schedule so we have to let them slip out a little bit early," Hendrix said. "The only other option would be practicing at night. I'd rather go early and I think our kids would too. "They come in, get their work in and they're done. And it forces them to go to bed at night." 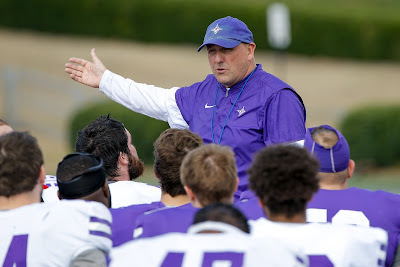 While no starting position will ever likely be sealed in the spring, there are 16 returning starters back from Furman's 2018 Southern Conference championship team that won six of its final seven games in 2018. There will still be plenty of competition starting this spring, most notably at quarterback. Redshirt freshman Darren Grainger and Hamp Sisson are battling to replace Harris Roberts. With JeMar Lincoln leaving via transfer and the graduation of holder Reese Vita, the lone other quarterback on the roster is sophomore Jack Hardin. "The quarterbacks had a pretty good day. Both those two and Jack Hardin is a guy I like. He's a really bright kid," Hendrix said. "Those three will get all the reps and we've got to be a little smart. We have to be careful about overdoing it with those guys. We may have to start counting how many balls they throw in a practice, because normally you have five guys out there." Furman has had transfers come in and participate in spring drills in the past, but this may be the first season that early enrollees who completed their high school credits are on the spring roster. The Paladins have three in safety Austin Jones, center Evan Jumper and spur linebacker Jalen Miller. While the trio were still playing high school football just two months ago, they were ready to go on Friday. "It's kind of funny. They've been not quite two weeks in class and had college football today," Hendrix said. "Evan Jumper got all the No. 2 reps at center. Austin Jones got a bunch of safety reps. At Jalen's spot, we've got a couple more guys. "It certainly concerns you a little bit about how they're going to make that adjustment, but all three seem to be handling it pretty good. I'm glad we've got them in here." Hendrix said having all five of his starting offensive linemen - and four reserves along the line - will be huge this spring. It's a projected starting line that went through some growing pains last season, but this year will have four juniors and a senior. That one senior, Andy Godwin, is currently out as he's recovering from another shoulder surgery. "I think as much as any group, that (offensive line) group here on day one is so much different (from last season)," Hendrix said. Redshirt freshman noseguard Cameron Coleman is the only other Paladin out for the spring. He's currently recovering from an emergency procedure on his lower leg and needs approximately six weeks to recover. Hendrix said he was looking forward to Coleman getting a lot of reps this spring as he's among those looking to replace graduated Jaylan Reid. Friday's opening practice was the first official chance for some Paladins to try a new role. After switching from defense to tight end prior to last season, Dillon Vann is back on defense again at a bandit linebacker. Bandit is also where junior Davonta Porter is now after switching from safety. Coming off his FCS-best 15-sack season in 2018, sophomore Adrian Hope projects to be the new starter at bandit in place of the graduated Chris Washington. Sophomore Ben Page has shifted to tight end. Wide receiver Cam Burnette, who caught 20 passes for 247 yards in 2018 and nine passes for 210 yards and two touchdowns as a freshman in 2017, is transferring out of the program. Running back/first baseman Deon Sanders, who had one season of eligibility left is no longer on the football roster, as he will concentrate on baseball the rest of the way. Sanders had nine carries for 74 yards last season. His 45-yard run at Clemson was the second-longest allowed by the FBS national champions all season. In the midst of spring football practice will be the second - but more traditional - signing day. 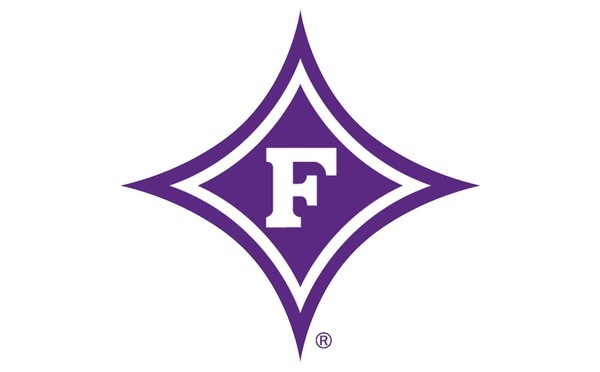 Furman's annual Signing Day Celebration will once again take place at American Roadside Burger in downtown Greenville. 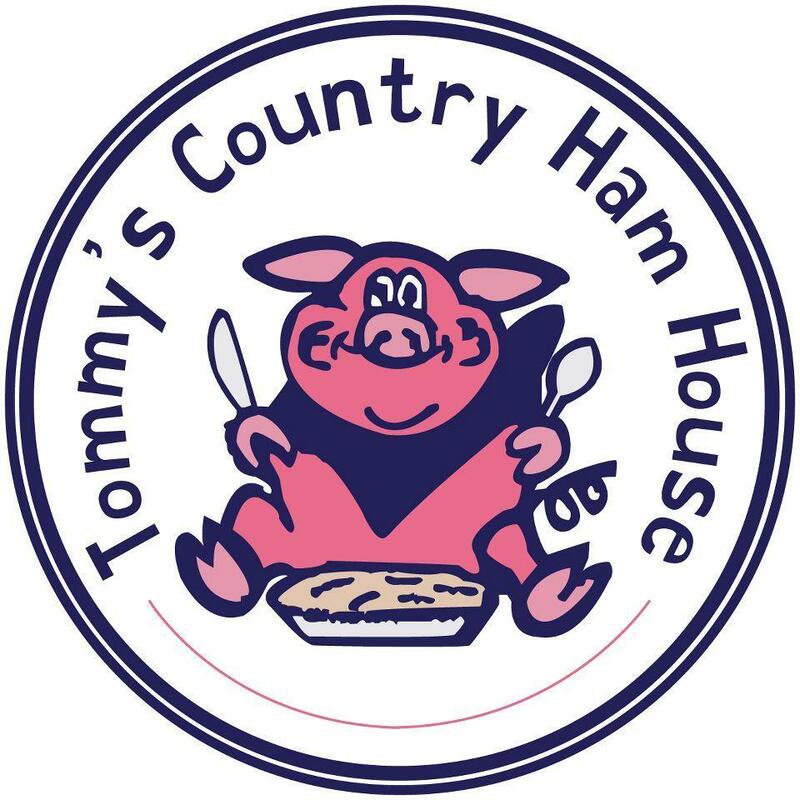 The event will be held from noon-2 p.m. on Feb. 6. In addition to discussing the nine players who signed with the Paladins in December, Hendrix and his staff will be on hand to talk about the new players that fax in their paperwork that day. They will also be available to answer other questions about spring practice and the football program.